I am trying to find out information about the orthopaedic surgeon Walter Laurence, who was born in 1918 and died in Brighton in 2005. 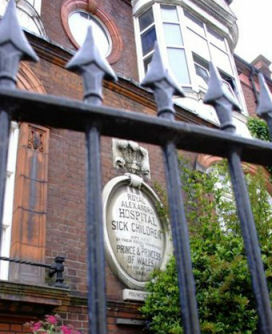 Laurence was an Australian who worked as a consultant at the Royal Alexandra Children’s Hospital and Brighton General Hospital during the 1950s. Because of his life-changing surgery on me, and presumably on many others, I think he deserves an entry on his adopted hometown’s premier website. I am hoping it will be possible that others, who benefited from his surgical skills, will be able to help with information about this remarkable man. I was on intimate terms with the Royal Alexandra Children’s Hospital for the first eight years of my life (1949-1957). Having been born with bilateral talipes (two clubfeet), I spent much of my first year as an inpatient, during which time Walter Laurence performed feats of surgical magic to restore my feet to virtually normal, allowing me to live a completely mobile life despite this initially crippling disability. I consider that I owe Mr Laurence a debt of gratitude greater than any I owe to any other person, apart perhaps from my mother who bravely nursed me through this period. This, then, is a plea for any information on Walter Laurence, both as a favour to me and as a tribute to him. If you can help, please leave a comment below. I look forward to reading your entries and proffer my thanks in anticipation. Nick Lawrence was a remarkable consultant. I had suffered with pains in my left knee from my primary school days which my GP diagnosed as ‘growing pains’. As I got older the diagnosis changed to ‘rheumatism’ for which little could be done. In my early 20s this became so severe that my father took me to see Nick privately and for the first time my knee was x-rayed. From this x-ray he could see that I had smashed the femur – not recently but when I was about 8 years old. He operated on my knee twice within the next 18 months pinning some bone and removing other fragments including cartilage and I have never had a days pain since. That was 40 years ago. Truly a remarkable man. Nick Lawrence, was certainly remarkable, my two year old son started to limp badly. I was living in Bahrain at the time and was advised to return to the U.K. Nick checked my son out and after tests diagnosed a bone tumour, he operated at the Nuffield in Hove, and again the following year he recovered completely and has never had any problems until now. I believe that Nick fell at the local recycling tip and died as a result of his fall a few years ago. I will always be grateful to him. In 1954/5 I had ingrowing big toe nails which had been cut back several times but still grew into the flesh. A Mr Laurence operated on me in Brighton General and removed the roots and did a skin graft where the nails were. It worked and I’ve had no trouble ever since and I’m now 74. Could it be the same surgeon? John Snelling. livesonline.rcseng.ac.uk/biogs/E001720b.htm shows the following: Biographical Entry Laurence, Walter Nick (1918 – 2005) FRSC 1952 Born 12 August 1918 Died 20 May 2005 Occupation Orthopaedic surgeon and Trauma surgeon Details: Walter Laurence was an Honorary consultant orthopaedic surgeon for Brighton Health District, UK. I played rugby with Nick Laurence’s son – also called Nick for many years with Hove RFC, his father also fixed my knee after a rugby related injury.